The 888 Casino is an excellent gambling website that provides brilliant customer care for all the members of the casino. It has started operating in 1997 and since then made a huge impact on the community of players as their services only expanded throughout the time. The site has much of style and an original view for the games which gather many of devoted fans. By compiling several different software platform they have created the ultimate collection that everyone can enjoy. Random Logic Software, Net Entertainment, IGT and Games OS are responsible for powering the site with their wonderful creations that only make the whole place even more appealing. Thanks to the installment of the SSL and PGP, the leading technologies in the field of security, you may rest assured that your transactions are in safe hands. A reliable firewall application is safeguarding every entrance to the site and preventing the potential attacks. With the Random Number Generator, any outcome that will occur may provide only honest results. The brand is completely regulated under the jurisdiction of Gibraltar. Every player that signs up with the casino will become the subject to many exciting promotions a special events like happy ours, races, tournaments and free spins. There are as many as 300 games so feel free to browse the goods at any time. They can be also tried out in the fun mode so you will not have to pay for it. The Video Slots offer an extensive collection of titles including Wheel of Fortune, The Price is Right, Cluedo, The Incredible Hulk, Bejeweled, Fantastic Four, Monopoly, X Factor, Spiderman. Progressive Games come with their own selection that can bring many winning opportunities. 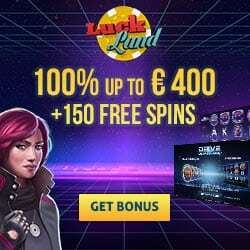 Table Games can be played in standard mode and with the live dealer option so choose the one that suits you best from Texas Choos ‘em, Poker Fives, Roulette, Blackjack. The fans of Sports Games will be thrilled with action in Make the Finals, Football Stars, Top Trump, Virtual Dogs, Horse and Jockey, Virtual Horses. There are also Scratch Cards and Keno so make sure that you check them out. Hi Lo Hero, Triple Chance, Hi Lo Silver are the games that fall under the Hi Lo Card Games and the others like Aces High, Risk It, Triple Card Poker, Broadside. Some of the most popular titles within the Slots are Jack Hammer, Victorious, Starburst, Gonzo’s Quest. The customer service may be contacted by telephone, fax and e-mail. Banking methods accepted by the casino are Check, NetPay, Eurocard, eWalletXpress, PayPoint, InstaDebit, WebMoney, ecoPayz, Laser, Ukash, Paysafecard, eCheck, ClickandBuy, Telephone, ACTeCASH, Paybox, MasterCard, Fax, PayPal, Solo, Reverse Withdrawal, Neteller, Wire Transfer, Skrill-Moneybookers, Visa, Maestro, Diners. Currencies allowed on the site are U.S. Dollars. The supported language versions include Romanian, English, Dutch, Japanese, Russian, Chinese, French, Spanish, German, Swedish, Turkish, Hungarian, Italian, Bulgarian, Polish, Greek, Portuguese, Danish.